Welcome back to the Let’s Grow Leaders Frontline Festival. 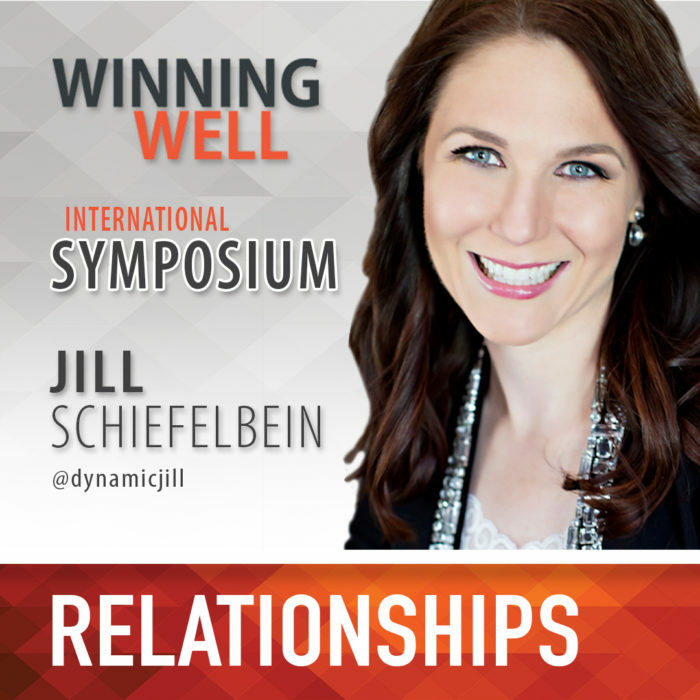 This month’s festival is a celebratory finish line of the Winning Well International Symposium with themes of confidence, humility, results, and relationships. Thanks to Joy and Tom Guthrie of Vizwerx Group for the great pic and to all our contributors! Next month’s Frontline Festival is all about handling conflict in your team. Submit your relevant blog posts by June 9 here! John Hunter of Curious Cat Management Improvement discusses why the lack of confidence is more problematic than having confidence. Building a Great Software Development Team Follow John. Robyn McLeod of Thoughtful Leaders Blog shares that building our self-respect strengthens confidence and allows us to be more open to feedback. Why Self-respect is a Key Leadership Skill Follow Robyn. Wally Bock of Three Star Leadership explores the virtue of humility as a leader. Don’t Worry About Being Humble, Just Do It Follow Wally. Skip Prichard of Leadership Insights leads us in discovering a unique leadership lesson in humility from Pope Francis. You’ll find 12 leadership lessons from the Vatican. Lead With Humility: 12 Lessons from Pope Francis. Follow Skip. 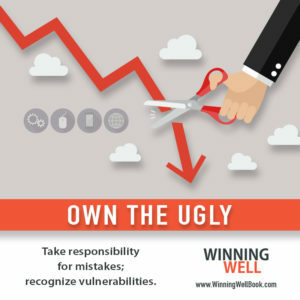 David Grossman of The Grossman Group tells his story of self-discovery and stresses the value of leaders living authentically so you can be your best self, motivate your teams, and get results by showing leaders how to bring your best to work and bring out the best in others. Respectful Authenticity Follow David. 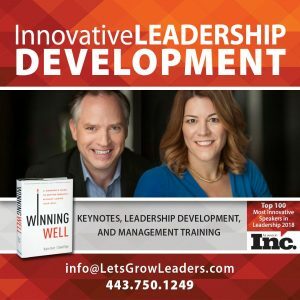 Artika Tyner of Planting People Growing Justice Leadership Institute shares 5 key lessons on how to achieve results in your business and professional development. 5 Lessons on Business Success from the American Small Business Champion Training. Follow Artika. Note: We’d like to congratulate Dr. Tyner and the Planting People Growing Justice organization on the national recognition as an American Small Business Champion! Sean Glaze of Great Results Teambuilding talks about the problem with getting results and buy-in on many teams is that mission statements stay on the walls. It never makes it into the hearts and minds of the people working together to establish a relationship between what they DO and what they are helping to accomplish. 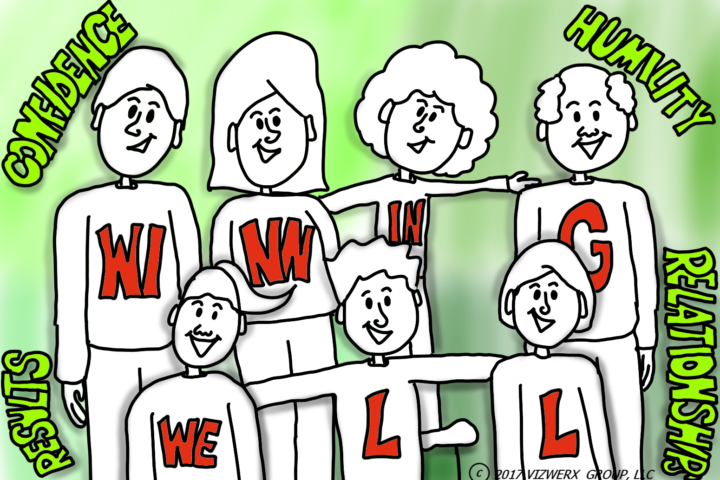 How Many Mission Statements Does Your Team Have? Follow Sean. Hiro Taylor of HeroPay Starting knows starting a small business can be hard. When the times get tough remember these words of wisdom, from some of the most successful people of the last century. Keep your eyes on the prize – in business and in life. 10 Motivational Quotes Every Small Business Owner Should Read Follow Hiro. Mike Kappel of Patriot Software, LLC When it comes to leading a team to success, relationships are key. For top results, leaders need to know how to connect with the workforces they manage. How to Be a Team Player in a Leadership Role Follow Mike. Susan Mazza of Random Acts of Leadership. offers her thoughts on why connection fuel progress, and is the source for progress that is both meaningful and satisfying. We sacrifice that progress when we don’t consciously take the time to just talk to each other — human to human — and take the time to connect meaningfully. 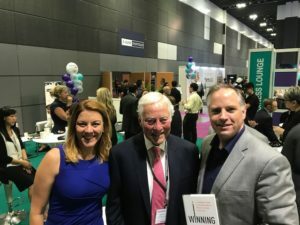 3 Reasons Why Connecting is Essential to Progress Follow Susan. Tanveer Naseer of Tanveer Naseer Leadership talks about how a leader’s ability to build relationships with their employees is fast becoming a critical key to their success. Learn about 3 strategies to help with this. 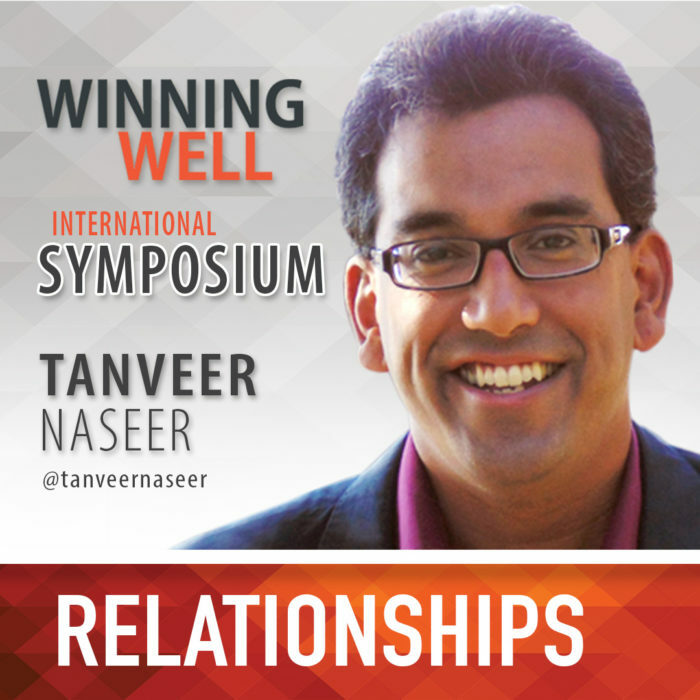 3 Keys For Building Relationships With Those You Lead Follow Tanveer. Beth Beutler of H.O.P.E. Unlimited reminds us that there is an “I” in teamwork and helps us assess whether we are a good team player. There is an “I” in Team Follow Beth. Jesse Stoner of Seapoint Center for Collaborative Leadership shares a personal experience of bridging the divide. This is the story of how my brother and I came to terms with our differences and what I learned about how to bridge the divide. Dialogue Bridges the Divide Follow Jesse. cultures. 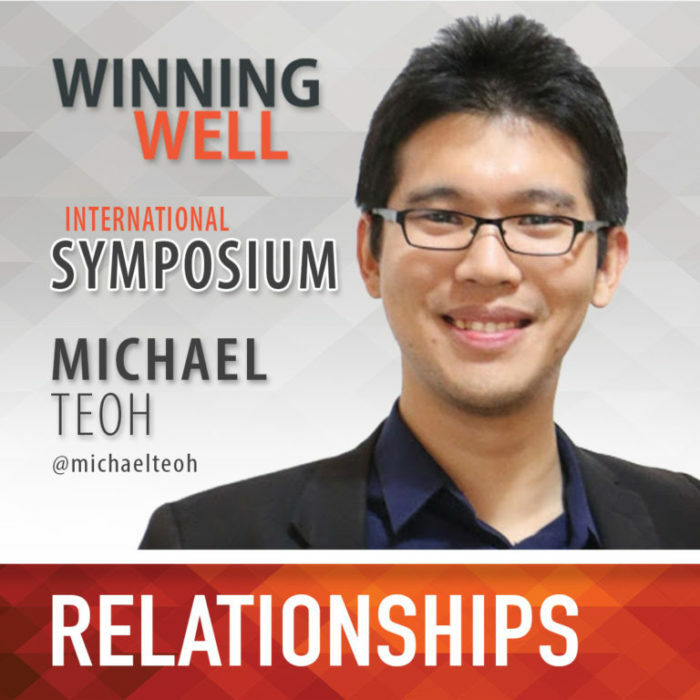 We first met Michael online when we had both launched our new books— and were excited to share insights and support on another. 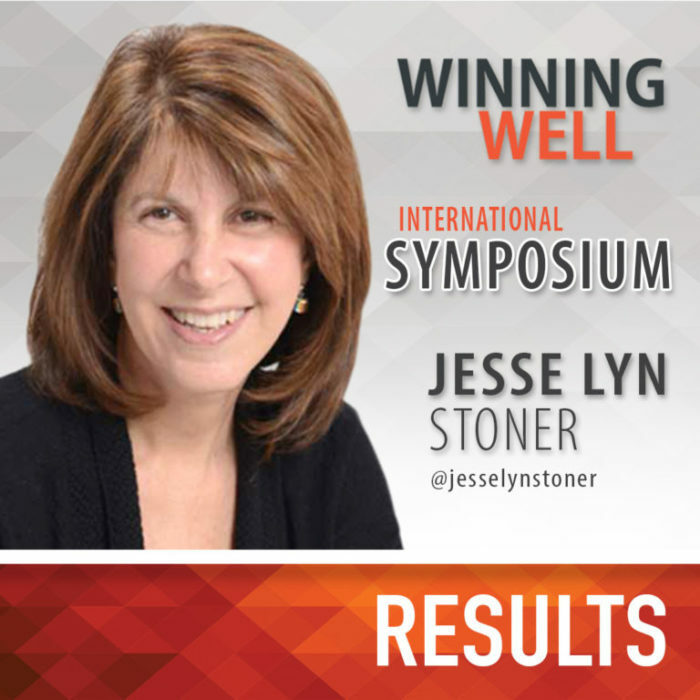 That conversation led to a serious of joint webinars talking about Winning Well with Millennials in the workplace. 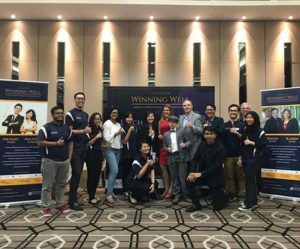 When Michael heard we were headed to Southeast Asia, he offered to host us to partner on a large scale executive event in Kuala Lumpur. 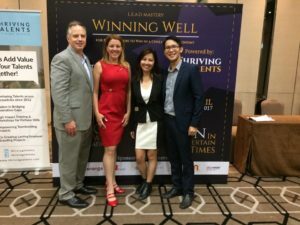 Michael, his partner Mallory, and the team at Thriving Talents are role models of blending the bottom line with the human spirit— and proof that a Millennial run company can grow fast, gain wide-spread international respect, and make a lasting impact on the results for the their clients. It’s also been fun to share stories and insights on the benefits and challenges of being a couple, running a fast-growing start up. We’re excited for what’s next in collaboration with Michael, Mallory and the Thriving Talents team. Click on the image for more information about Michael’s book. Michael’s advice regarding millennials is good advice for your relationship with every person: Don’t stereotype them. Understand them. A powerful reminder that leadership is a relationship and any time we forget that, we diminish our influence. Your turn. What advice do you have for working with Millenials? 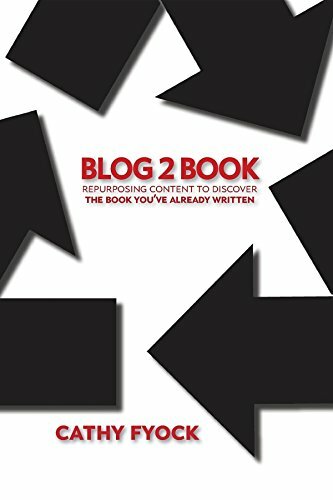 I was first introduced to Jesse very early on in my blogging journey, by Dan McCarthy, another well-established and highly respected leadership blogger. She graciously spent time with me to share her journey and insights about how to make the best impact. Since then, we’ve enjoyed collaborating and supporting one another’s work. Jesse’s admonition to know where you’re going is violated by leaders nearly every day. 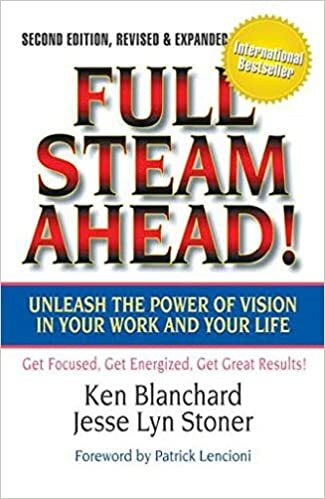 Effective leaders first answer “Where are we going?” and only then move to “How will we get there?” Avoid the endless circles, wasted time, and frustrated team members with a clear focus on results. Everyone (most of all you!) needs to know the M.I.T. We first met Jonathan when he was introduced as the President of the Global Speaker’s Federation. He struck us then as a statesman and diplomat. A few months later, I (David) enjoyed a wonderful dinner with Jonathan as he traveled through Denver, Colorado. After trusting me to order for the table, our conversation ranged from our professions to our favorite foods, to how we can help those in need. 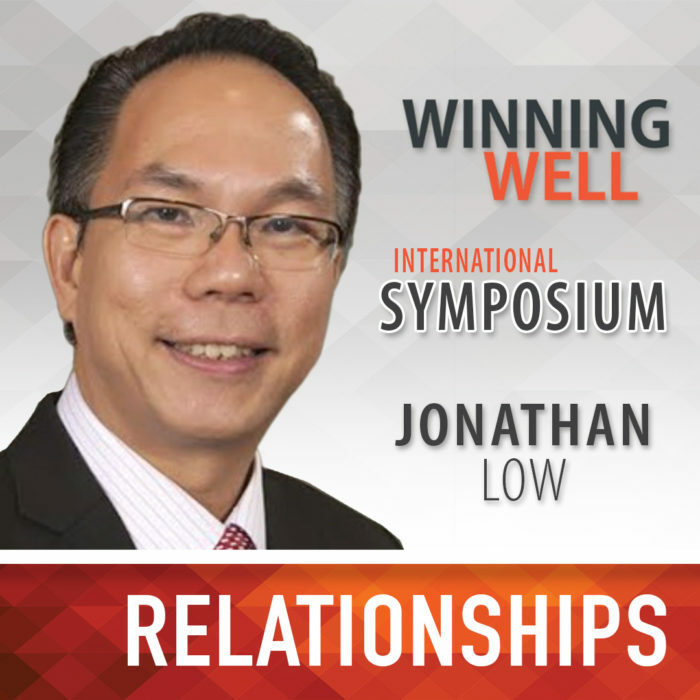 Jonathan is also one of our hosts at the Asia HR Summit and Asian Professional Speakers Singapore Conference. He doesn’t just talk about the power of relationships and building customer loyalty – he lives it. Click on the image for more information about Jonathan’s book. 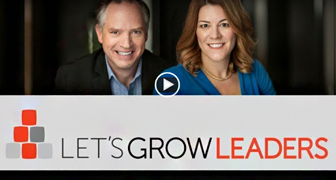 One of the things we love is when we can provide practical tools to help leaders succeed. Jonathan delivers in that vein with some very practical and helpful tools for leaders who are challenged to build relationships. For some people, this comes naturally, but for those who need to be more intentional, his suggestions, particularly scheduled ‘reach out’ time are so helpful. I (David) first met Ilja when we both happened to be visiting Manhattan. He had just released his latest book on change and I was sharing a leadership keynote with a business headquartered in Long Island. On a chilly spring evening, we shared drinks on a roof-top patio overlooking the Empire State building and talked about his favorite places in Germany, changes in the world economy, and leadership. Ilja invited Karin and me to join him in Phoenix, AZ as his guests for the National Speaker’s Association Council of Peers Award for Excellence gala (it’s like the Academy Awards for professional speakers) and we look forward to reconnecting in Singapore where the three of us are presenting at the same conference. 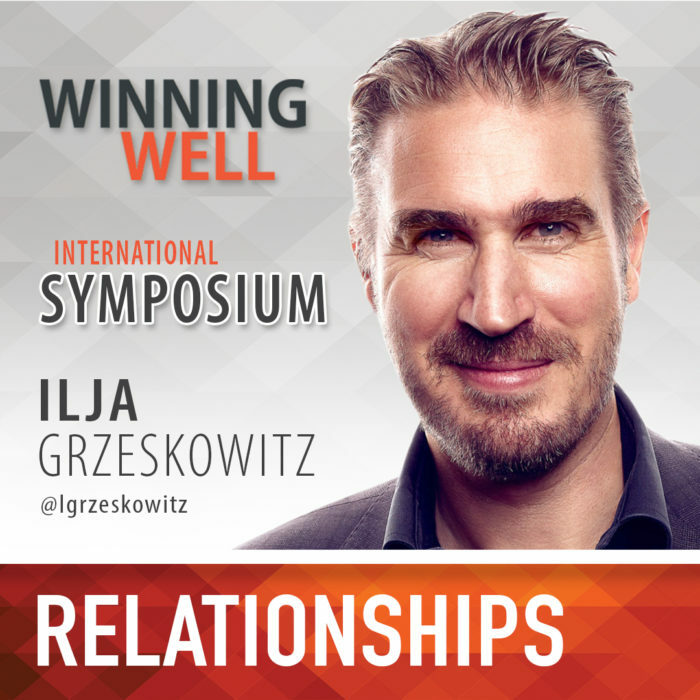 As an expert in change and change management, Ilja embodies his message with an energetic, upbeat, and positive response to whatever comes his way. A while ago, I read an interview with former Google CEO Eric Schmidt, where he made a fascinating observation. He said: “Today, mankind produces more information, data and ideas than from the stone age until the year 2003 together.“ And he nailed it with that statement. Because the changes around us are getting more and more intense. Everything changes. Permanently. The economy, the organizational structures in our companies, our very own working space. As a keynote speaker and change coach, I have the privilege of working with a lot of awesome organizations. And it doesn’t matter which industry I look at, whether it’s a big brand or a small company with just a hundred employees. There is one thing they all have in common: The rules have changed and constant change has become the new normal. Click on the image for more information about Ilja’s book. Especially disruptive technologies, the demographic trend and the digitalization are the main reasons that markets change dramatically and the customers are behaving completely different than they used to do just a few years ago. And that means that our ability to deal with this new complexity around us will be the most important factor if we will still be successful in the future or if we become obsolete. And just to be clear, I’m not talking about change for change’s sake, but about change with a purpose. Change with intention. Change to reach your goals, to become more profitable and to grow as a person. In the upcoming years, nothing will be more important, than to adapt to these new circumstances. What does all that mean to your jobs as a leader? First, you need to quickly adapt to all of the changes going on around you and adjust your own mindset. Even more importantly, you need to lead the changes in your team. Organizations only change when the people change. And it is your job to make sure they do. Not by telling them or giving orders, but by reaching their hearts and leading with your actions. And believe me, I know what I am talking about. In my own career, I started out as the youngest store manager in Germany’s largest department store corporation and overall, I was responsible for ten different stores all over the country. Back then, not only did I have to deal with tough competition, changing markets and the upcoming phenomena of online shopping but also with a huge crisis within the company itself. Locations were shut down, profits were decreasing and thousands of employees were facing the fear of unemployment. During these tough times, I learned the biggest lesson of my life: Change is not what happens around you, but how you deal with it. It is your mindset that makes all the difference. Your attitude. And after all, the culture in your organization. Let me share one of my deepest beliefs with you: A company culture of openness, flexibility, and courage beats every sophisticated business strategy by far. Because there’s one thing you can be sure of: If you are good, your competition will copy everything. They will copy your products, your prices, maybe even your marketing. But they will never be able to copy your culture. In my book “Think it. Do it. Change it.”, I explained how to develop this special attitude of change. If you know how motivation really works, why the fear of going new ways is actually your best friend, and how to use your own uniqueness to lead the changes in your company, your community and most importantly, in your family, you will be able to make a huge difference. At the end of the day, dealing with change is a mindset. A certain way of thinking, deciding and taking action, that we have to adjust not only once, but on a daily basis. The more you use that special attitude, the sooner you will develop strong habits. And that’s important because changes never happen overnight. They are a process with successes and failures. With ups and downs. You have to work hard to make it happen every single day. Isn’t it true? It’s never the one with the best abilities who wins, but always the one who is well prepared, the one who takes massive action and changes actively. Because under the same circumstances it’s always the attitude, the mindset, the company culture that makes all the difference in the world. So dream big. Act bold. And you will get the results you want. We were struck by Ilja’s observations that “organizations only change when people change.” As leaders, it’s all-too-easy to fall into the “they-game”e.g. I’ll lead well … when “they” get their act together… when “they” fix the problem … when “they” give us a better system. But that’s not leadership. Leaders take responsibility and create the change that needs to happen. 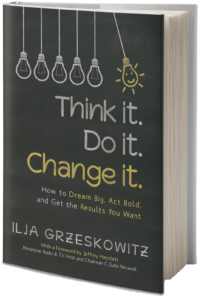 We love the way Ilja reminds us that “change is a mindset” – you often don’t know what you’ll show up to – but you have 100% control over how you show up. 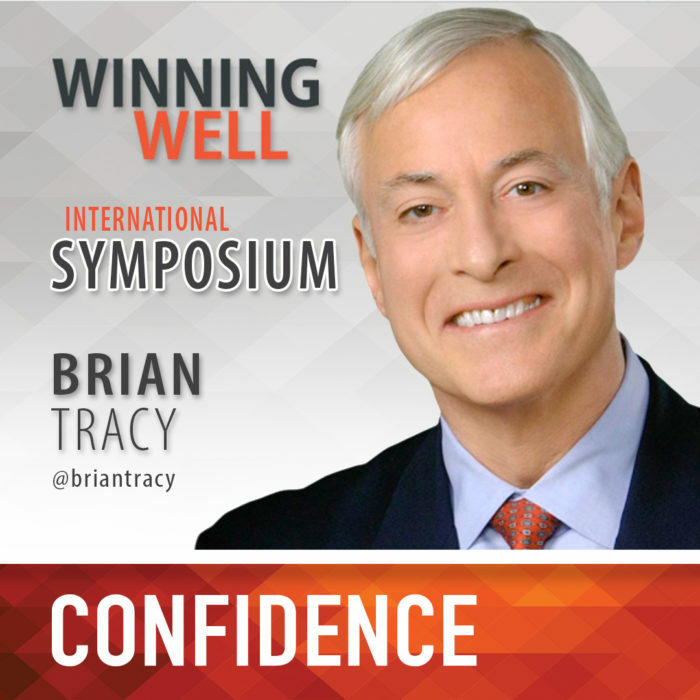 We’ve been fans of Brian Tracy’s ideas on productivity and efficiency for a long time. So we were delighted to find that we were all keynoting at the HR Asia Summit in Singapore. We enjoyed chatting with Brian about his thoughts of getting results that last and building confidence. Thanks, Brian for your decades of thought leadership and inspiration. Click on the image for more information about Brian’s book. Brian is a master at personal productivity and you can easily see why. His advice on building confidence in your team through task completion is a core part of the Winning Well Confidence Bursts strategy. We particularly appreciated his advice to help you evaluate what is truly the MIT among the competing priorities you face every day. We first met Cathy when she attended our workshop on how to co-author a book. 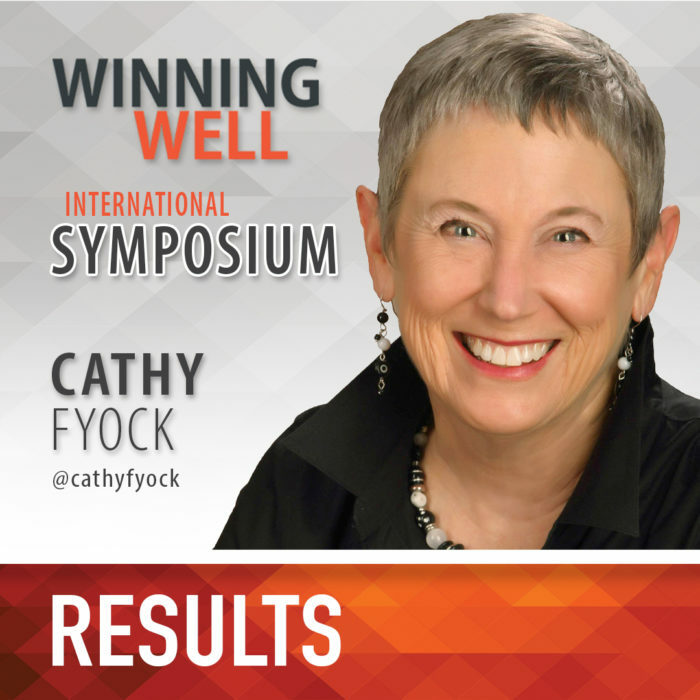 Cathy is an amazing storyteller and story listener– and we enjoyed working with her audience to share our story in a recent webinar. Cathy lights up the room with her enthusiastic approach and warm spirit. Click the image for more information about Cathy’s book. And that’s how it is with storytelling. The story is the conveyance for truth. It helps us remember what is important, what is vital. Our stories hold life lessons. So, why don’t YOU tell your stories? Why aren’t you speaking, training, and writing? Many of you are doing amazing things. You are helping your organizations develop new products and services. You grow workers into leaders. You develop cultures that foster innovation. And you are touching the lives of your employees each day in meaningful ways. So why don’t you tell your stories? Why isn’t the world benefiting from your wisdom and insights? By doing good work in your organization, you have dropped one shoe. By solving organizational challenges, you have dropped a shoe. By making teams more cohesive and by enabling change, you have dropped a single shoe. But now you must drop the other shoe. You must tell your story, you must share your truth—through writing, speaking, and training—so that others can use your wisdom and knowledge. Does anybody want to read my story? Remember, you were created with a purpose, and when you tell your stories you allow others to bear witness to the purpose of your life. Your stories are gifts to others: the gifts of joy, encouragement, insight, understanding, hope. Telling your story is holy work. You know, the world needs your story. We have not solved all the leadership problems in our world. We don’t have all the answers to how we create a better world. I pledge that I will use my power to make today a fantastic day. I will block writing time on my calendar, and I will honor that time commitment and hold it as sacred, creative time. I pledge that I will not allow my negative voice to guide my thinking or stop my creative process. I will surround myself with people who love me and support my writing. I pledge to tell my story—to share my experiences—with authenticity and without apology. I know that in telling my story I can provide others with the gifts of hope, wisdom, and joy. I pledge that I will continue to work so that I gain clarity and focus for my readers, audiences, and clients so that I can continue to make the world a better place, one word at a time. I believe that each of us can continue to make the world a better place, one word at a time. The world needs your story. 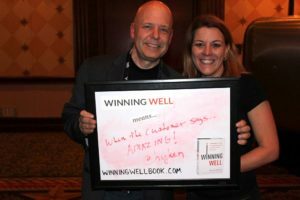 One of the most effective ways to build a connection with your people and to help them understand what winning well looks like in your team and organization is through strategic story-telling. Cathy’s encouragement to share your stories will help you build trust, connection, and credibility as people see and feel what success looks like. We first met Jill in person at the National Speaker’s Association conference in Washington, DC a few years ago, and she’s become a wonderful friend as well as a deeply respected colleague. She’s been an avid Winning Well supporter from the beginning. 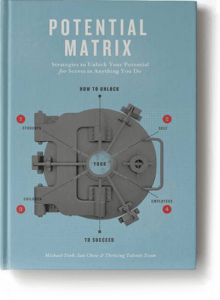 Jill’s new book is a must-read if you’re an entrepreneur or aspiring to be one. In today’s digital world, there’s no such thing as business hours. A business can never truly be “closed” anymore. That’s not to say that your physical office space doesn’t shut down. But it is to say that your customers, and your potential customers, expect access to you 24/7. 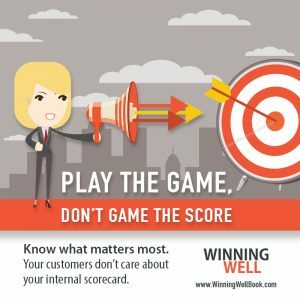 Whether that access comes in the form of information on your website, engagement and interaction on and with your social media channels, or leaving a review on a third-party site, your business is always “open.” You can never stop paying attention. Yet many digital marketers stop communicating once their marketing is successful and a purchase is made. They effectively close up shop. After making a purchase, customers are more likely to engage with you. In fact, 69% of a customer’s first-year spending with you will occur in the 30 days post purchase. If you’re not taking this opportunity to extend your marketing, you’re missing a potential gold mine. Taking control of your client onboarding process and providing multiple communication touch points and proactive offers of support is a digital marketing strategy that will keep your customers engaged with your product and your brand. Here are several post-purchase emails you can send to communicate with and educate your new customer in a way that leads to further engagement. Welcome to the XYZ family/community, and thank you for trusting us with your XYZ needs. A “thank you” email tends to signify the end of a relationship, not the beginning. Instead, reframe your first email to your consumer welcoming them to your family/community (or whatever word best exemplifies your brand). In this email you should provide direct contact information—details that will allow them to reach a real human as soon as possible—and any support information that the customer may find useful. As you start to use the product, we’re always here to help. There’s also a robust online community of support documents and forums accessible to you 24/7. Make sure in this email that you also take the opportunity re-emphasize the benefits and outcomes the customer will achieve by using your service. In this email, ask for engagement and provide value. 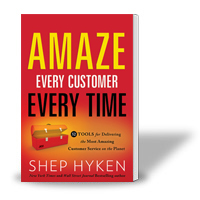 Ask your customer to share what they’ve found most useful, helpful, fun, exciting, about your service. Then, drop some knowledge. Share a piece of short, educational content that informs your customer of a feature of a product or an added-value in the service. Many XYZ users find that the ____ feature is a major time-saver. Have you used it yet? If not, check out this video to see how it can make your experience even better. Gather case studies from your consumers and categorize them in a way that makes sense for your business (industry, business size, family size, etc.). Then, provide these contextual examples to your customers. One place where many companies fall short is providing case studies, but not providing action steps. Gather success stories but be sure to break them down into manageable and executable action steps for your customers to follow. Specificity is important. We thought you might like to see how Rosemary, a fellow hospitality business owner, uses XYZ to help mange her social media engagement. Then provide the situation and context, the process, and the result. At the end, include the step-by-step actions your customer can take to achieve a similar outcome. This is also a good opportunity to note upgraded features that could further extend the success through a continued narrative. To implement this plan for your business … (insert action steps). If your service or product can be customized, personalized, or upgraded, this is a prime email to use. Maybe you offer a free training. Perhaps you offer a user community. Propose scheduling a one-on-one personalization session. And make it easy for your customer to access these resources. We want to make sure you’re getting the most out of your XYZ experience. If you’d like to chat with one of our product customization experts to make sure you’re getting the most out of your purchase, schedule a 30-minute session. Then, of course, link to an easy online scheduling tool. And ensure that, when your customer schedules, she is able to input specific questions that she has to help guide the conversation. Remember, once your marketing is successful you still have a lot of work to do. Think of the post-purchase email marketing opportunities as ways to educate your customer. When people have questions, they want answers. Be the brand that answers their questions, and you’ll make an impression. Be the brand that anticipates questions, and you’ll make an impact. 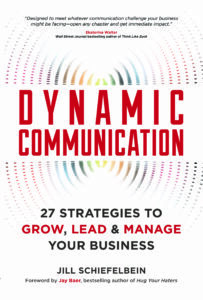 Note: This article contains excerpts from Dynamic Communication: 27 Strategies to Grow, Lead, and Manage Your Business (Entrepreneur Press, March 2017). Jill has given us a fantastic blueprint to building our relationships with customers. We particularly enjoyed the notion that a purchase is not the end of the relationship, but just the beginning. We invite you to view your relationship with your team members the same way: when you hire someone, it is the beginning of the relationship. 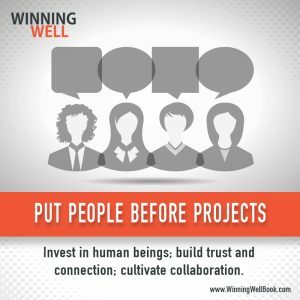 How do you put people before projects, invest, connect, and collaborate from there? We first met Bill when he was publishing his first book– and I interviewed him to help share his message. Since then, we keep finding ourselves in the same leadership conversations and communities, and always enjoy connecting to share best practices. 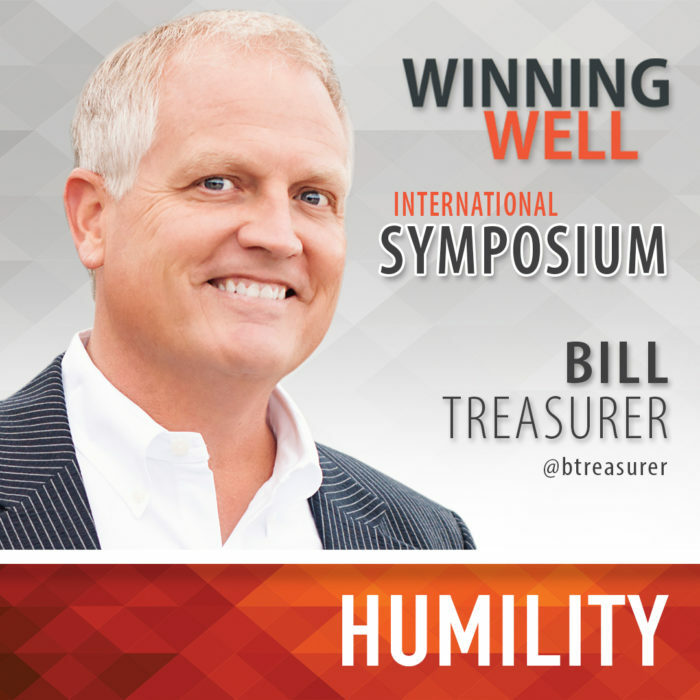 I love the way Bill taps into his own leadership experiences and stories to communicate the importance of confident humility. Years ago I was coaching a young leader who was under a lot of self-imposed pressure. His dad was the second-generation owner of a $500-million-dollar construction company, and he had tapped his son as the eventual heir to the kingdom. But his son felt entirely unready for such an awesome responsibility. How would the company keep selling big projects to keep people working? How would he lead senior staff members, all of whom had more knowledge and experience than he? How would he, in short, live into his father’s footprints? You don’t have to be a CEO’s heir apparent to struggle with the same question. Leaders get a lot of mixed messages about what’s most important to followers. As a leader, you’re expected to be bold and calculated, passionate and reasonable, rational and emotional, driven and patient, principled and flexible, competitive and cooperative, strategic and tactical, and yes, confident and humble. Faced with all of these conflicting factors, is it any wonder new leaders scratch their heads and wonder, Where on earth do I start? My advice to new leaders is this: if you want to be a good leader, start by being a good person. Leadership is an inside job. Before you can lead people outwardly, you have to lead yourself inwardly. Leadership starts with internal goodness, in other words, integrity. Goodness is not some pie-in-the-sky philosophical concept. It’s not some prudish, goody-two-shoes standard of stilted perfection. Goodness is practical. When you’re good, people trust you. They know you won’t cheat them, or violate their confidences, or mistreat them. They know you’ll consider their interests, listen deeply and share generously, and be respectful. They know you’ll never stop striving to do the next right thing. Your goodness is the single most important determinant of whether followers will trust your leadership, and trust is crucial to good leadership. When people trust you, they’ll work harder on your behalf, they’ll have a higher tolerance for your idiosyncrasies, they’ll be loyal to you, and, most importantly, they’ll act with integrity too. Trust begets trust, and when you act with goodness it becomes an invitation for others to act with theirs, mutually strengthening the trust between you. 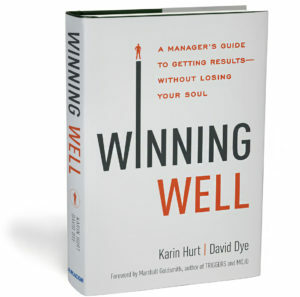 The good news is, when you focus on developing and strengthening your character, when you commit yourself to leading in a principled and honest way, and when you make serving others your primary leadership aim, you are exemplifying very essence of what my friends Karin Hurt and David Dye mean by the title of their essential leadership book, Winning Well. As a leader, you win well when your inner goodness informs all your leadership actions and decisions. You’re truly winning well as a leader when the best of you brings out the best in others. You want to be a good leader? Then start by being good. Click on the image for more information about Bill’s book. When confronted with the overwhelming number of leadership examples, much less the amount of advice, you’ll encounter, it can feel overwhelming. That’s why we so appreciate Bill’s straightforward reminder that all leadership begins with you. Be a good human being who people can trust. That is the foundation of Winning Well – and all the influence you’ll ever have. 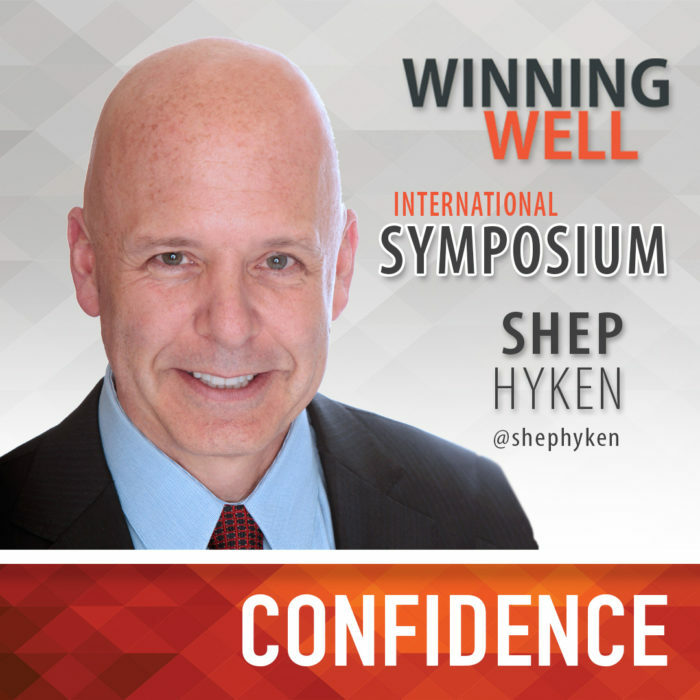 I first met Shep when we were both keynoting at International Customer Service Association conference in Florida. It was my very first external keynote (I was still working as an executive at Verizon) outside of Verizon and Shep was the incoming President of the National Speakers Association. I’ll never forget the moment he said, “So when are you going to do this for a living?” And, when you’re ready to leave Verizon, call me and I can give you some pointers to get started– which I did, and he was extremely helpful and encouraging. Shep was also one of our earliest encouragers of Winning Well. 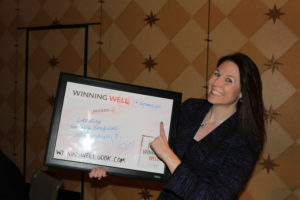 You can listen to our Winning Well interview with Shep on his Amazing Business Radio show. In order for companies to be successful, their customers must feel a sense of confidence in them. No matter what you do or what you sell, you must create confidence. I’ve been preaching for years that the way to create confidence is to deliver a consistent and predictable experience. And, that is still the most powerful way to get a customer to trust you. When your customers know you will always do what you say, you will always be on time, you will always do what you promise, you are always polite and appreciative … well, you get the idea. That word “always” is a pretty powerful word. It’s about consistency and predictability. There is one more piece I’d like to add to the concept of confidence, which is to guarantee whatever it is that you do or sell. Why do people like to shop at Nordstrom? They know they are going to get great merchandise delivered with great service. In addition, they know that if for any reason they are unhappy with their purchase, or if there is a problem with whatever they bought, they know that Nordstrom has their back and will give them a refund or exchange the product. I had the opportunity to speak with Aaron Leon of LD Products. His company sells remanufactured ink cartridges for copiers and printers. You might have a brand name printer like a Canon or HP, but you don’t have to buy brand name ink cartridges from those same brands. LD Products prides itself on a very cost effective alternative, sometimes saving the customer as much as 70% off the brand names. And, while LD Products promises great customer service, they know that they have a battle with the perception of the quality of remanufactured ink cartridges. So, what did Aaron Leon do? He offered a guarantee that takes all of the risk out of the purchase. Just how strong is the guarantee? Basically, if for any reason you have a problem – which you won’t – or you’re not happy, LD Products will take the product back and refund your money. That’s a nice guarantee, but the quintessential guarantee statement can be summed up with what Aaron Leon tells his customers: “If you don’t like the color of the box, we’ll take it back!” Now, that’s a guarantee! So, are you so comfortable with your products and services that you’re willing to offer that kind of guarantee to your customers? Think about the trust and confidence that it would create. Think about the increase in sales. Think about the repeat and loyal customers. Creating customer confidence means delivering a consistent, predictable experience and standing behind your product or service – with a guarantee. Shep is a master of customer service and his suggestions to build customer confidence by keeping your commitments and guaranteeing your products and services are fundamental to amazing your customers. We believe the same principles hold true for your employees. Can your employees count on a consistent and predictable experience with you? Credibility is your currency – both with customers and your team. Being kind to others may not be spelled out in a leader’s job description, but it turns out it may be a helpful affirmation on every leader’s list. It seems so simple but in today’s high-pressure, competitive global economy, the message sometimes gets drowned out by discussion of the business case and/or lost in the context of the larger need of the organization to innovate, win and standout in the marketplace. There’s nothing wrong with executing on the business case to enable a company to deliver on its value proposition and excel and differentiate itself. But things in organizations begin to go awry when the business case is all there is. Fortunately, thought leaders in the leadership space are pushing back and suggesting new MO’s for organizations in which winning at any cost to employees is currently all there is. Karin Hurt and David Dye talk about soul in Winning Well A Manager’s Guide to Getting Results—Without Losing Your Soul; Monica C. Worline and Jane E. Dutton recommend compassion in Awakening Compassion at Work; and Nate Regier tells us about compassionate accountability in Conflict without Casualties: A Field Guide for Leading with Compassionate Accountability. Even happiness gets a nod from researchers Nancy Rothbard and Steffanie Wilk. 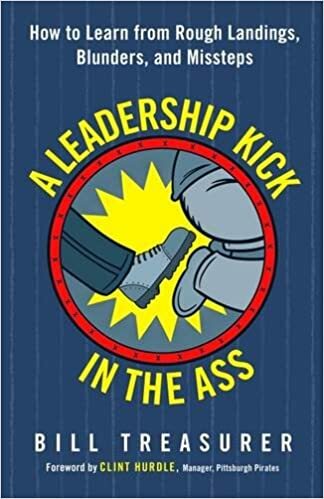 The mythological view of the hard-charging leader who has to rake people over the coals to make them accountable diminishes for leaders very quickly as they realize that model of leadership doesn’t result in the success and the organizations they want, says Woline. What it does create, however, is people who experience high levels of burnout. Bottom line: Corporations will only get the maximum results they need when their employees feel respected, valued and purposeful. To succeed, managers need balance: They must push people to achieve while creating an environment that makes them truly want to. And this can only occur when leaders show their fundamental human side. You’re not being a pushover, say Hurt and Dye. You’ll be a manager known for getting results, one whom people respect, and with whom people want to work. While some corporations are taking steps to respect employee work/life balance (e.g., flexible work policies or arrangements, paid family leave, frequent versus annual or biannual performance reviews) their work isn’t done until leaders evolve their corporations to ensure their everyday parlance and behaviors are kind and respectful. Control your emotions – If you tend to react with emotion or anger when things don’t go as planned, do whatever it takes to help get your emotions in check before speaking to an individual or addressing a problem. Have fun – There’s nothing like humor to lighten the load of a grueling day or week. Use laughter to inject some cheer into your workplace. Dig deep – It’s always important to offer a thank you and a compliment when an employee has submitted good work, made an interesting suggestion or behaved in some small way that furthered the objectives or goodwill of the team. Make sure your words include a description of why and how an action mattered. Understand life happens – Everyone has bad days or makes mistakes. Create a comfortable environment in which employees know that’s okay. Also, choose words and actions that help an employee reset his/her bad mood. Listen to the little guy/gal – When people have ideas, listen to them—not just the rising stars but everyone. Knowing they are heard and that their opinions are valued helps employees build confidence. Be humble – Saying, “I don’t know, but I’ll get you the answer,” being accountable and, even in some cases, being tongue-in-cheek self-deprecating shows you’re confident and humble. Plus, being authentic makes others feel more at ease. Write kindly – When relying on text or email to communicate, you lose the nuance of tone. Be mindful of how you frame your words—and how you punctuate them. 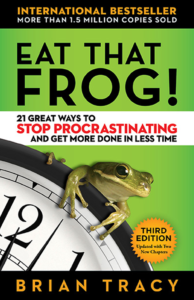 When you use multiple exclamation points, question marks, or a combination of both, you are inflicting guilt. Behavior like this not only offends and disturbs the recipient; it also pokes holes in the sense of confident humility a leader must internalize and project. We appreciate Barbara’s list of small acts that make a big difference. So often, the power in your professional relationships comes through the small, everyday exchanges that we often take for granted. There are so many good ideas here, but one that jumps out is to ‘write kindly.’ In the harried pace of business, there is still time to watch your tone and think about how your words will come across. Thanks, Barbara! 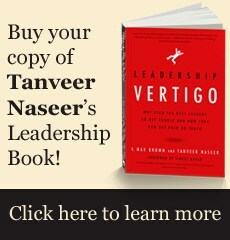 We’ve gotten to know Tanveer through his fantastic leadership writing and thought leadership over the years. 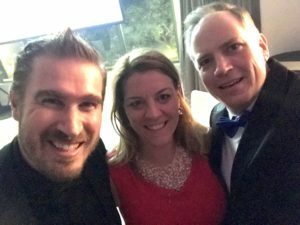 He’s been a regular contributor to the Let’s Grow Leaders Frontline Festival the last few years and a kindred spirit on blending the bottom line with the human spirit. Leadership today has certainly become a complex endeavor. With an increasingly interconnected global market, along with growing demands on a leader’s time, attention, and resources, it can be challenging at times for leaders to ascertain where they need to be putting more of their focus and effort. But if there’s one area that leaders should always be paying attention to it’s how well they are building and nurturing relationships with those they lead. 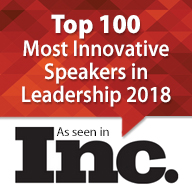 Although most leaders have come to realize that leading through influence is far more effective than leading by authority, the challenge still remains that we ensure that the measures we put in place are serving the best interests of our employees, as opposed to simply lessening the demands we face. This is where relationship-building becomes critical to our ability to succeed at leadership. By focusing on building and sustaining relationships with our employees, we send a clear message that our focus is not simply on ourselves, but on how we can help our employees to succeed and thrive under our leadership. Relationship-building also encourages us to be honest about our motivations and the decisions we make, because they are no longer simply transactional in nature. Instead, we become mindful of the impact our choices and decisions have on others and consequently, how and what we should communicate to provide them with some context for why things are the way they are. As I’ve written and spoken about through my work, the true function of leadership is not what you gain, but what you give of yourself to help others. That we not use our role simply to improve ourselves, but that we help those under our care to become that better version of who they can be. That’s why people are drawn to work for some of today’s successful leaders – not because of the successes those leaders have achieved, but because of their outward focus on those around them. 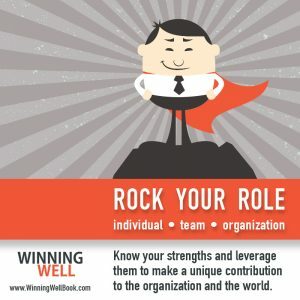 A focus to better understand their employees in terms of what matters to them, what inspires them to bring forth their best efforts, and how they can connect that to the shared purpose of the organization. Interestingly, this paradigm shift from the traditional top-down, command-and-control style of leadership to one based more on a collective interdependence offers a unique form of support for leaders that’s especially needed thanks to the faster pace which we now have to operate. Namely, that by building relationships with those we lead, we give ourselves permission as leaders to not have all the answers. Indeed, given the increasing complexity of today’s workplace environments, it’s impossible for leaders to know everything that’s going on, which is why delegation has become so critical to our collective ability to succeed and grow. 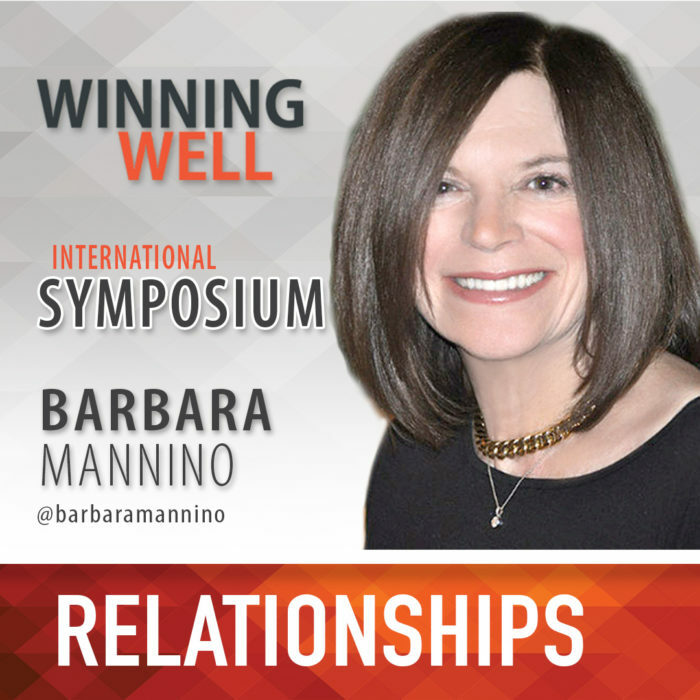 There’s no question that relationship-building requires intentional efforts on our part, but it’s important that we understand that it’s no longer requisite because it’s simply the ‘right thing to do.’ Rather, we need to appreciate how relationship-building has become a critical cornerstone to leadership success, if not also how we can ensure that we’re able to inspire the best from those we have the responsibility to lead. We appreciate Tanveer’s observation that by building relationships you also give yourself the flexibility to be a leader who asks the right questions – as opposed to one who has to have all the right answers. In our executive leadership roles we’ve both had employees come to us as we were stressed out, becoming overly-directive, and they encouraged us to “Trust the team. We’ll find the answers together.” That’s an incredible power of relationship.